Our four wisdom teeth start to make themselves known to us in our late teenage years. Their presence can be the cause of great discomfort if not managed properly. As they start to push their way into your mouth, they can create all sorts of dental issues that may need attention. Unfortunately, over time our jaw size has shrunk, which means that there is often not quite enough room to accommodate the arrival of these big molars. The new teeth can cause overcrowding and shift other teeth out of the way creating further issues with your bite and alignment. They can become impacted due to other teeth blocking their path, which can result in the tooth growing out at the wrong angle. 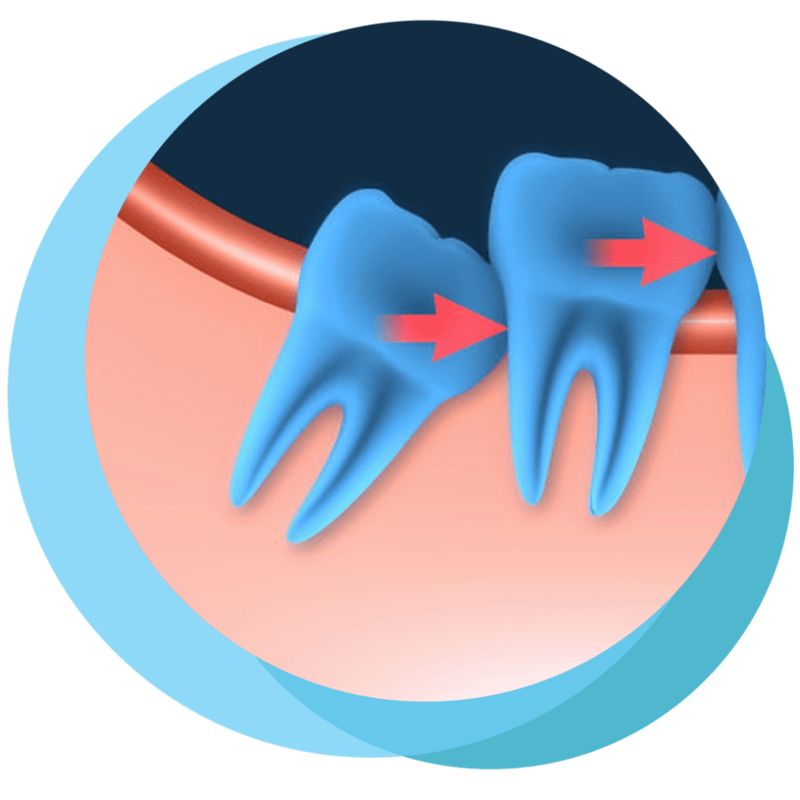 Other problems with wisdom teeth include decay and gum infection, as well as a host of other problems, which may require dental treatment. At our dental practice, we monitor the progress of the new teeth through the use of X-rays and scans. Regular check-ups, especially during the teenage years, are an important part of tracking and planning for the arrival of the wisdom teeth. For more information about managing wisdom teeth, talk to one of one of our dental team members at Weston Dental Surgery located in Weston Creek, Canberra. Contact us today.